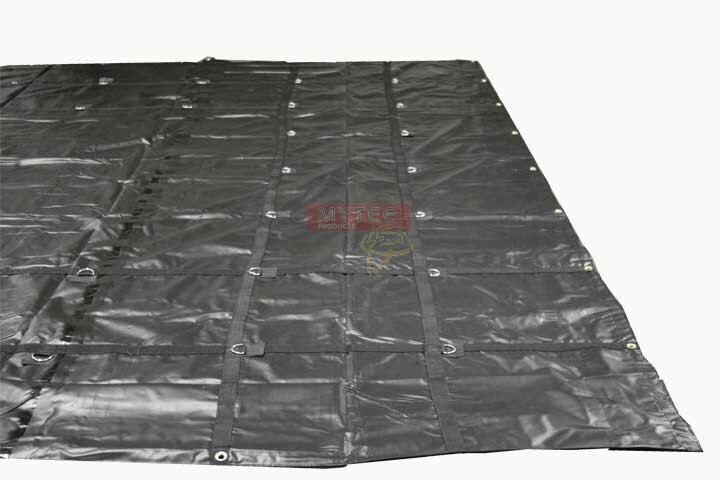 16' x 27' with 4' x 8' Flap/Tail Steel Tarp is made with Heavy Duty 18 Oz Vinyl. The Cold Crack is -40 Degrees C and weight is only 78 lbs. 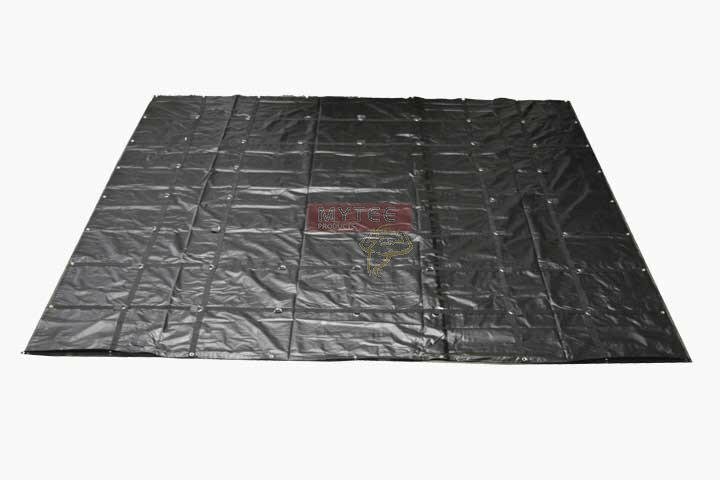 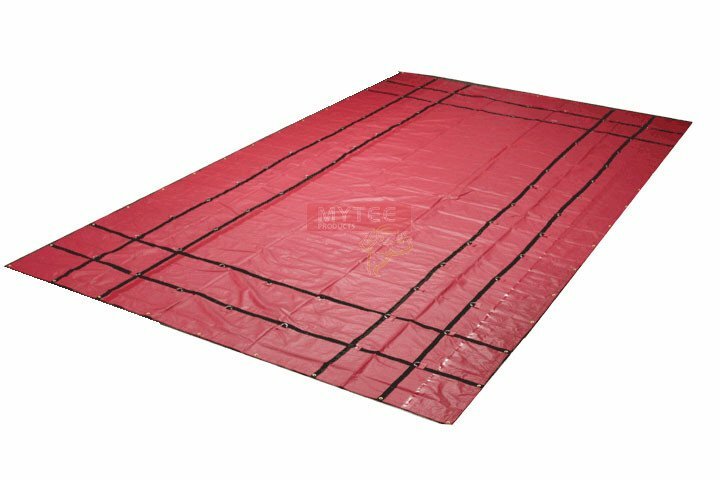 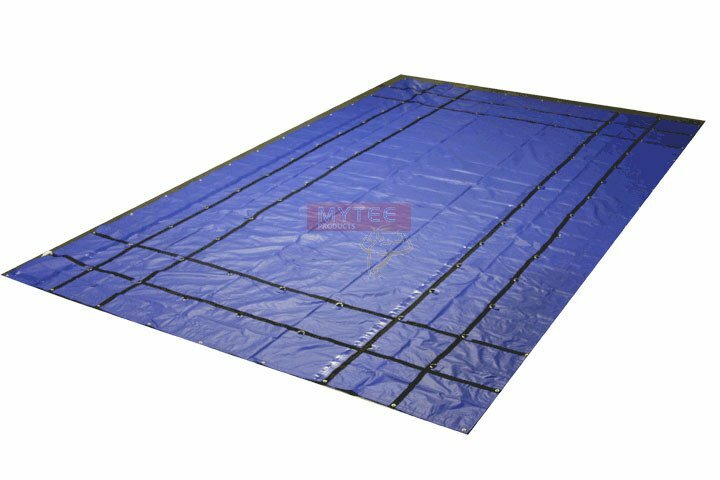 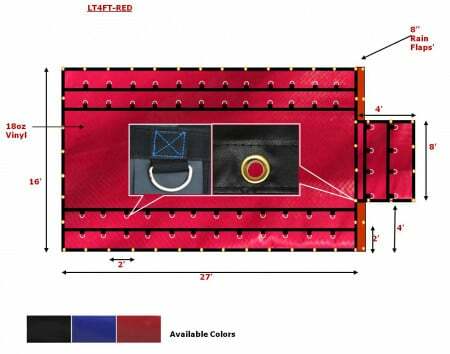 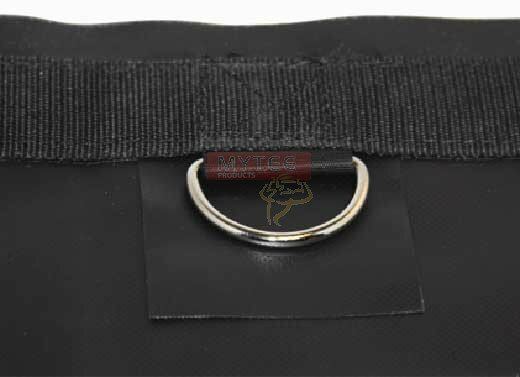 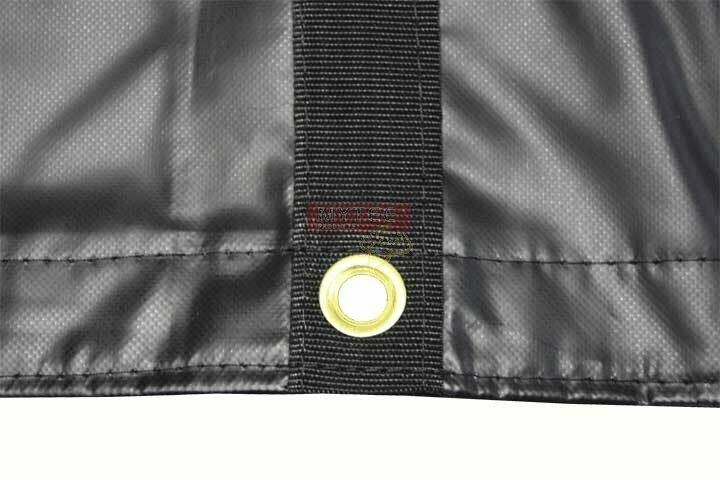 This steel tarp is available in red color.